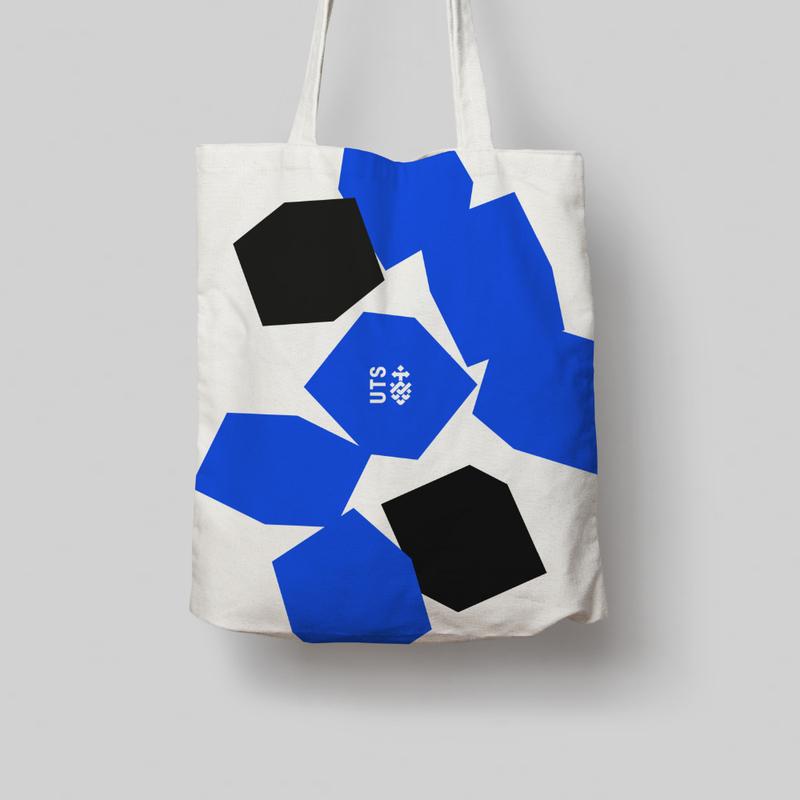 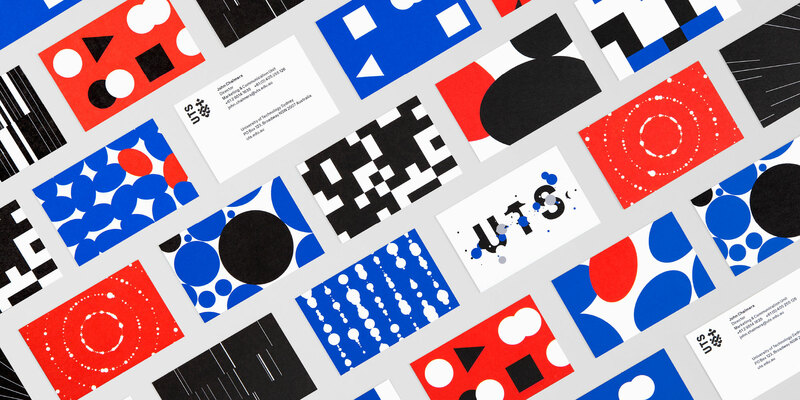 Creating the new identity was a process of fusing creativity with technology, born from the idea that “It’s the things you can’t see that shape the world”. 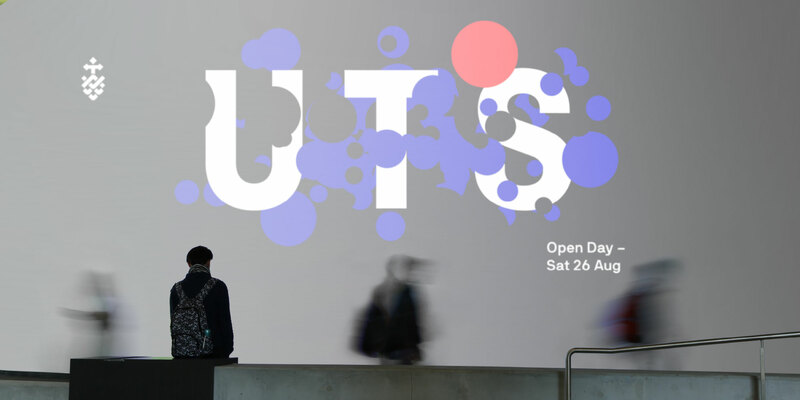 Our challenge was to visually represent the often intangible world of technology and data.Our solution was the creation of data visualisation software, the ‘UTS Visualiser’. 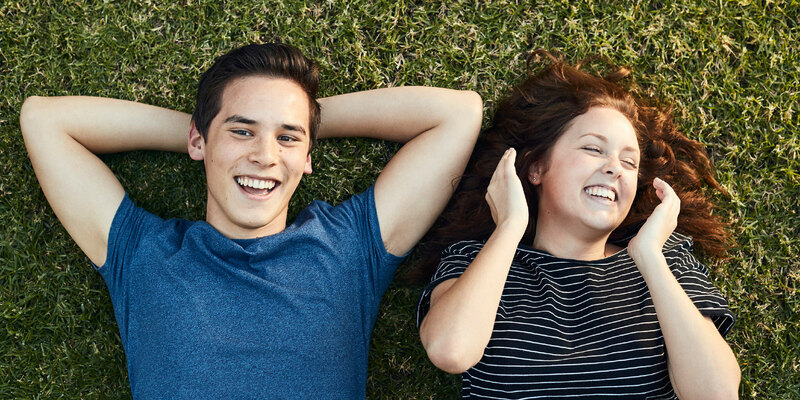 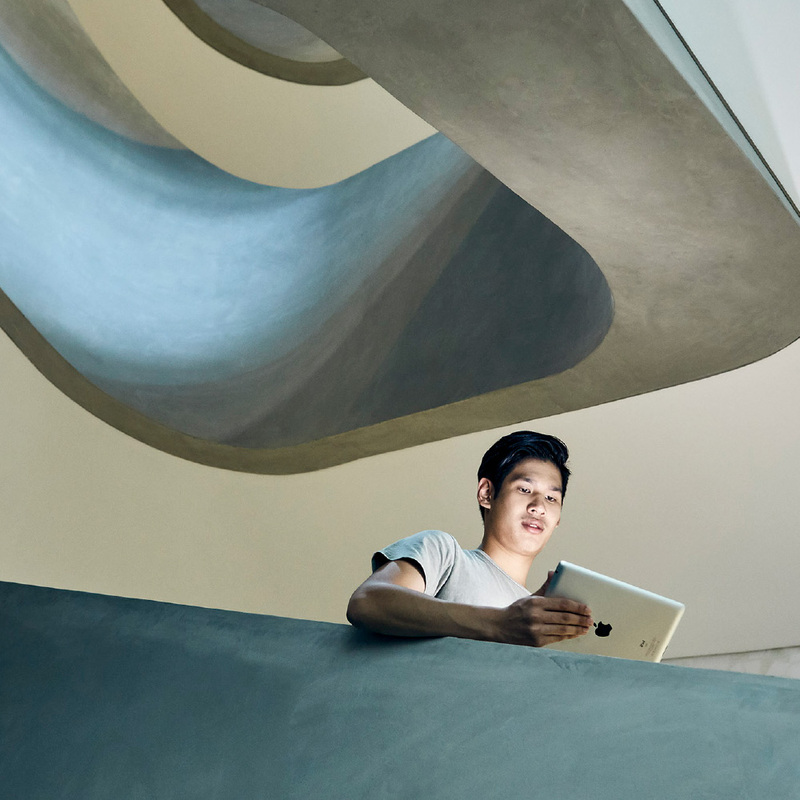 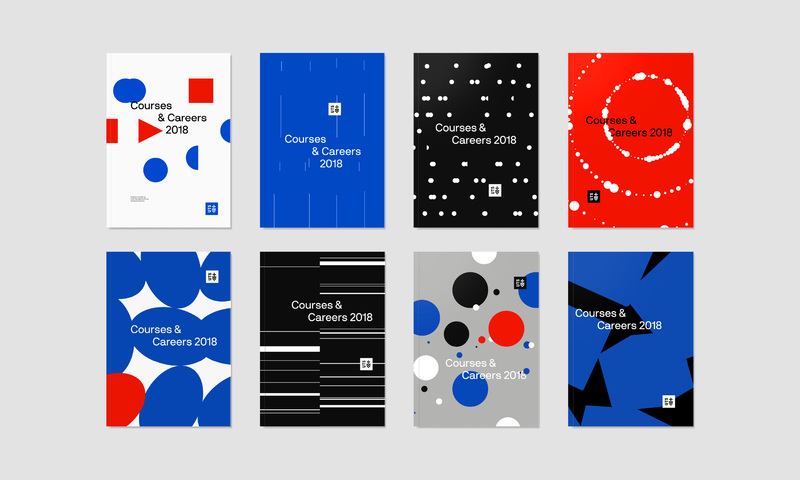 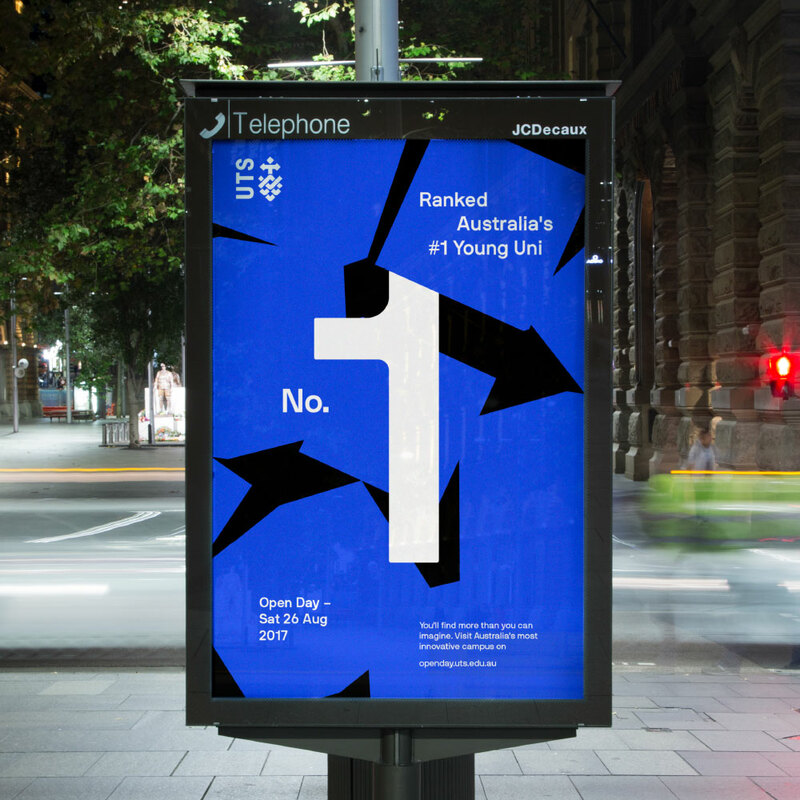 This software allows UTS to input unique data about its faculties, students and research, to create intelligent and connected graphics, which feature prominently in branded collateral and marketing campaigns. 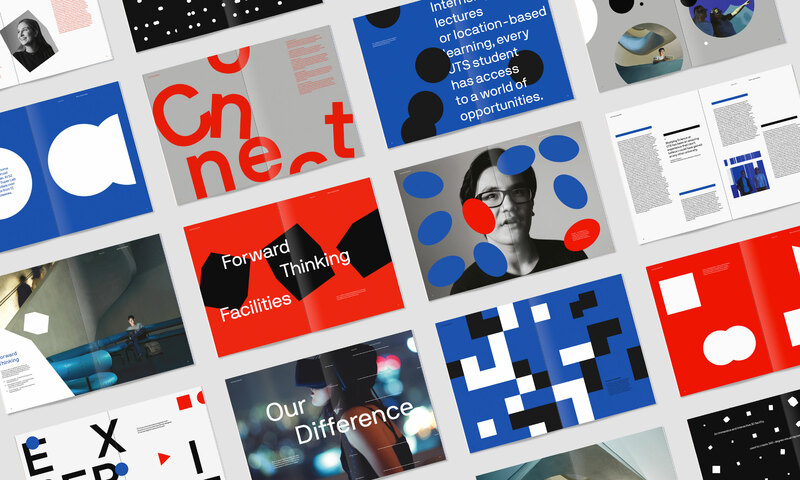 These “infinite” graphics deliver a responsive and adaptive brand identity, providing total flexibility. 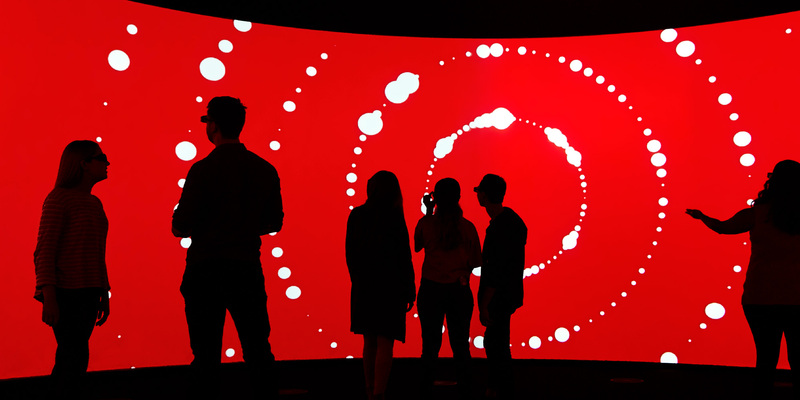 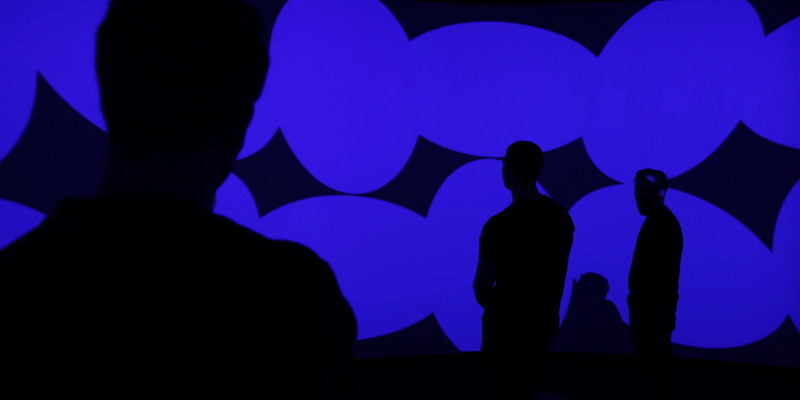 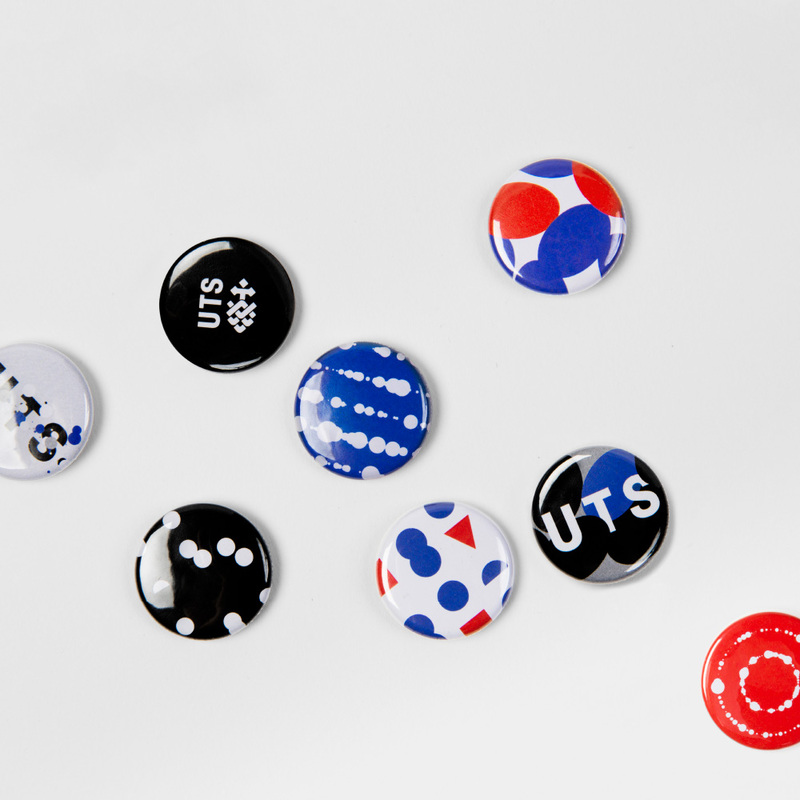 The UTS Visualiser transforms data into connected graphics that inform a generative brand identity, truly reflecting the university, its research and its people. 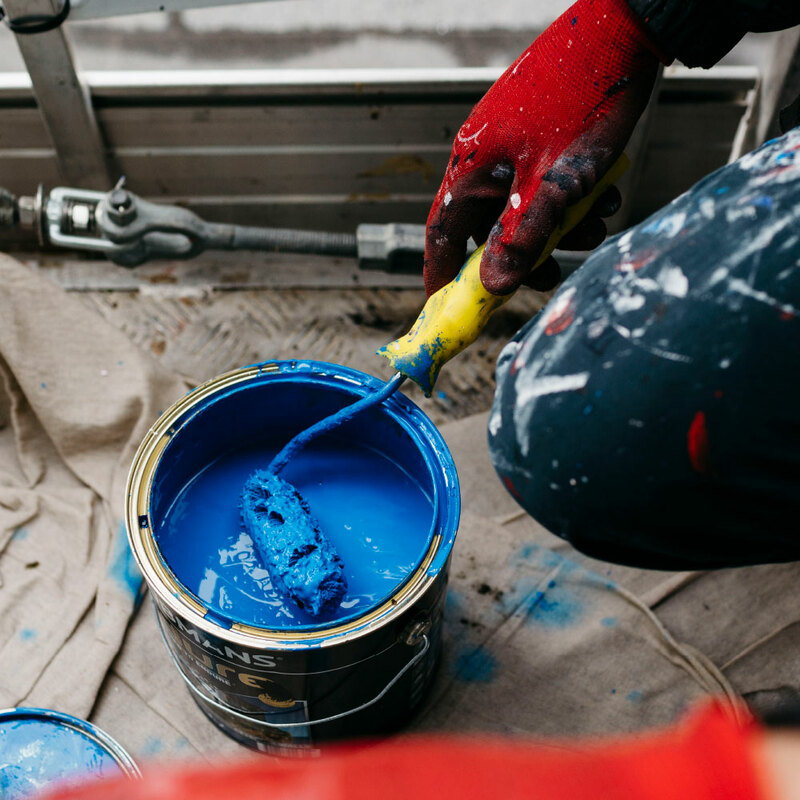 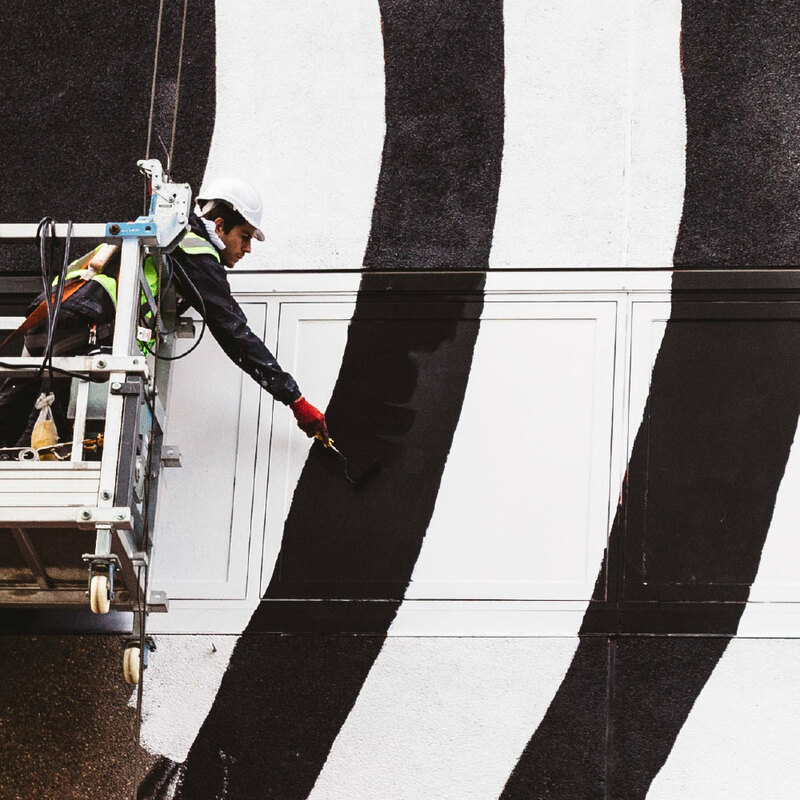 We identified an exciting opportunity to transform a construction hoarding project into a dynamic canvas to connect with the immediate community and beyond. 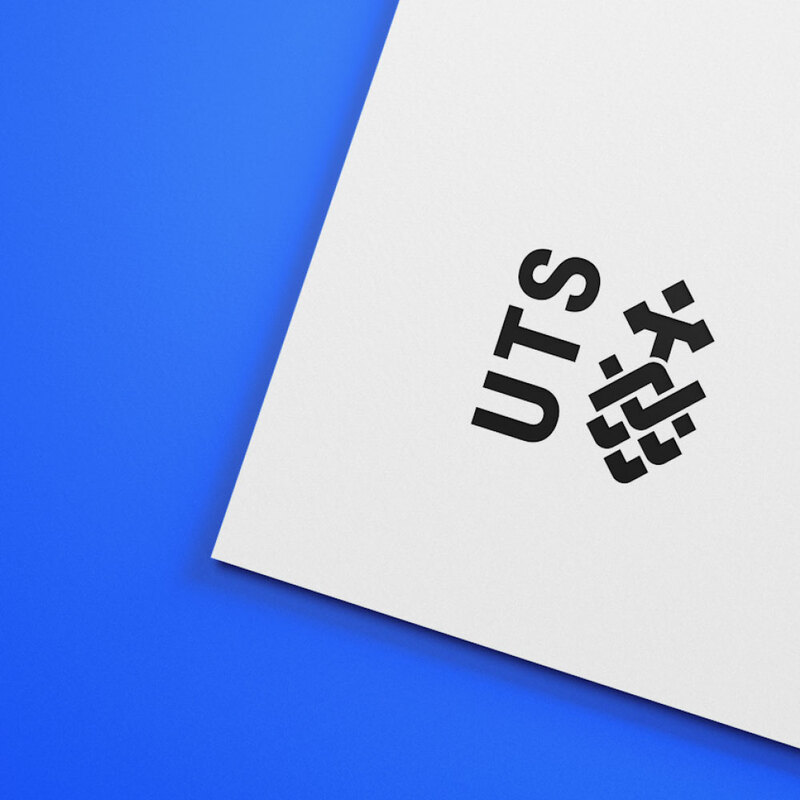 It was a unique moment in time; a punctuation between the old and new, a time just before the UTS building 2 was demolished. 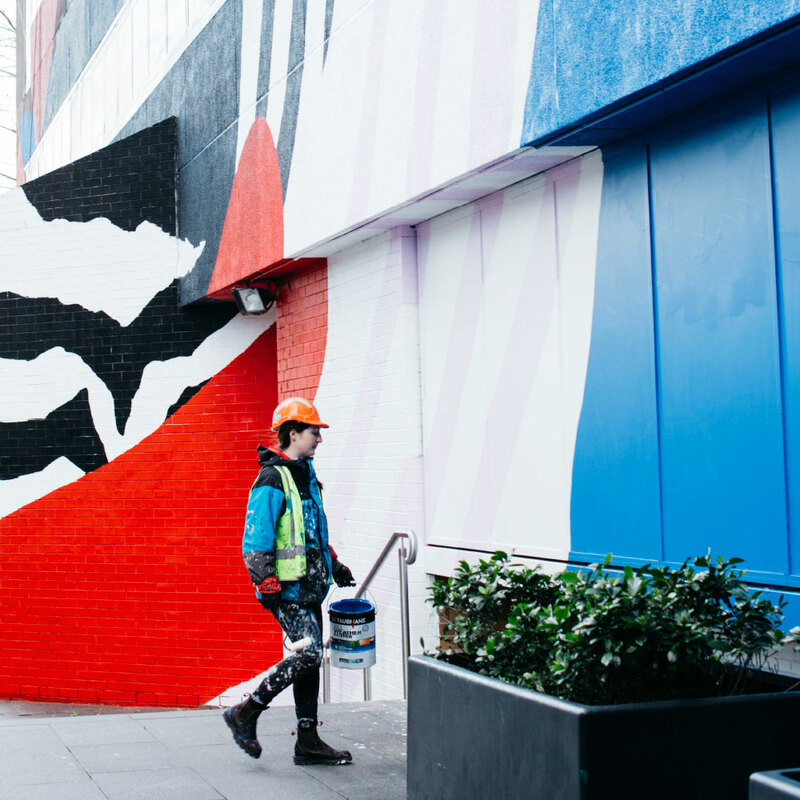 We commissioned artists Numskull and Georgia Hill to design and execute the a large-scale mural on the front of the building along broadway, which captured the creative, dynamic spirit of UTS.